Have you noticed your fascias, soffits and gutters are damaged or just look like they have seen better days. 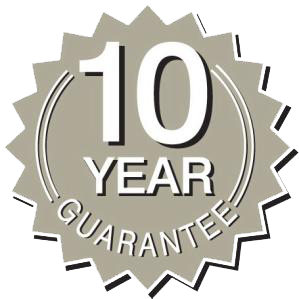 Our friendly team has all the experience to install your house with UPVC or wooden replacements that will stand the test of time. 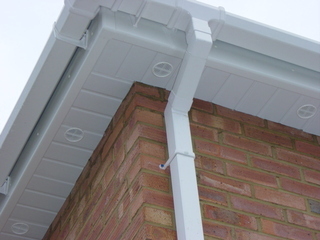 We can install all types of guttering you may want replacing in any colour, shape and size. Fascias, soffits and guttering are all key factors in protecting your property from water damage, damp and mold growth, rotten fascias can often lead to your guttering bowing out of shape or sloping down and allowing water to flow down your fascias and soffits and then on to your property potentially costing thousands to repair if not treated in time, if your gutters are not functioning properly and water does go over the fascias and soffits over a period of time its not rare that they become so rotten that they cant support the guttering anymore and it collapses all together so why not call in our expert team to sort out any problems you may have with your fascias, soffits and guttering, whether its repair or installation and protect your property by getting them functioning properly and ultimately leading the water away from harms way.